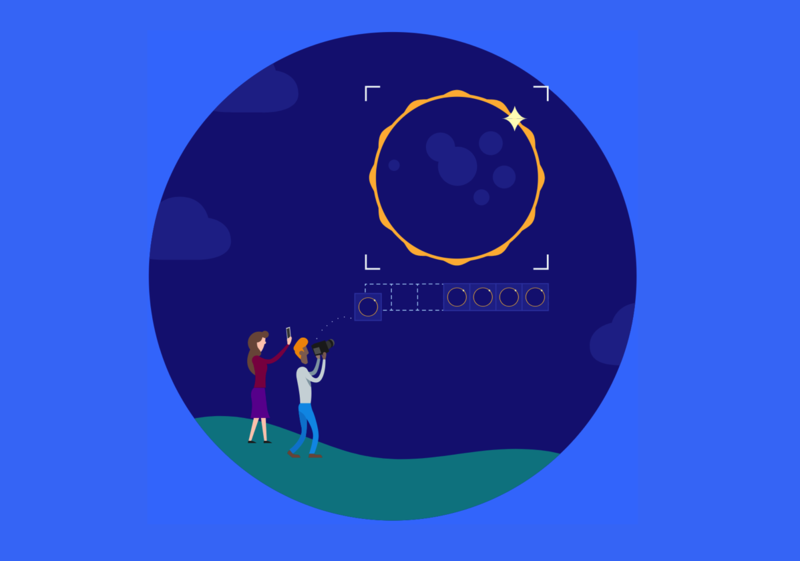 Over 1,300 citizen scientists spread out across the path of totality with their cameras ready to photograph the sun’s corona during the few minutes that it would be visible, creating an open-source dataset that can be studied by scientists for years to come. Learn about their efforts, and catch a glimpse of totality, in this video. Spoiler alert: for about two minutes, it gets pretty dark out. This is a small preview of the larger dataset, which will be made public shortly. It will allow for improved movies like this and will provide opportunities for the scientific community to study the sun for years to come.